These are not your average photobooths! We have two superior options to choose from and both will be supplied with your very own Booth Butler to set up, interact with your guests, operate and pack away your photobooth. This cutting edge technology allows you to choose from thousands of print options. The Photo Booth has an inbuilt touch screen display so all functions are selectable by the user. 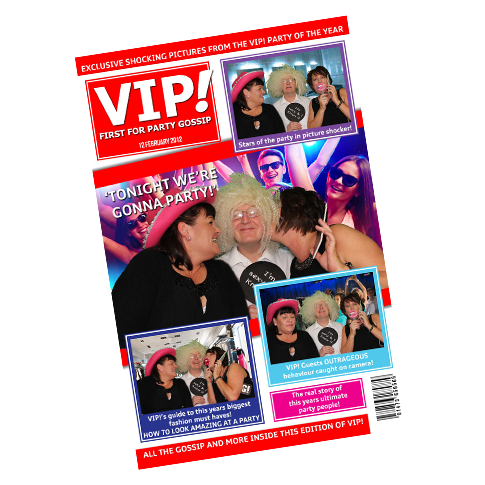 Great for companies wanting to encourage social media interaction as the Photo Booth has integrated bespoke social media uploading. 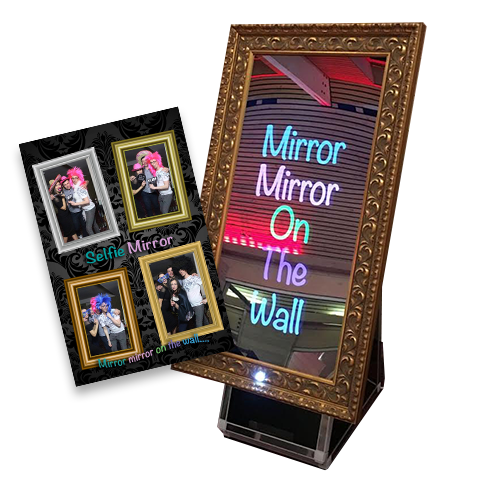 The fully animated mirror not only takes your photos and prints them, it can also interact with your guests! After each photo the mirror responds with a fun comment both verbally and on screen. The Magic Selfie Mirror has a small footprint making it particularly ideal for venues that need to maximise the use of their floor space. If you would like to add your logo or a personalised message to each print, no problem! Rest assured that you will receive a superior service alongside hiring our quality, top specification equipment. We have many years’ experience and are experts in the delivery of successful corporate and retail events. 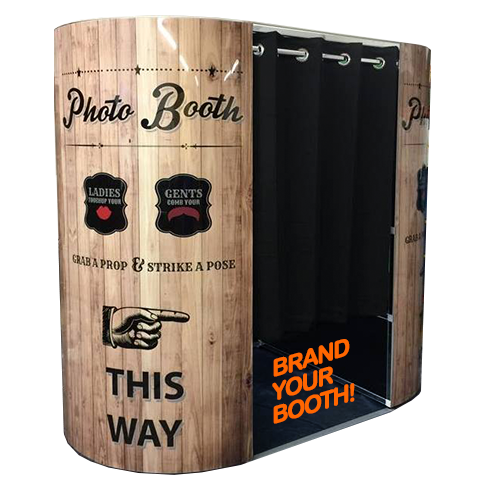 You will love the possibilities of marketing your brand with these deluxe photo booths. 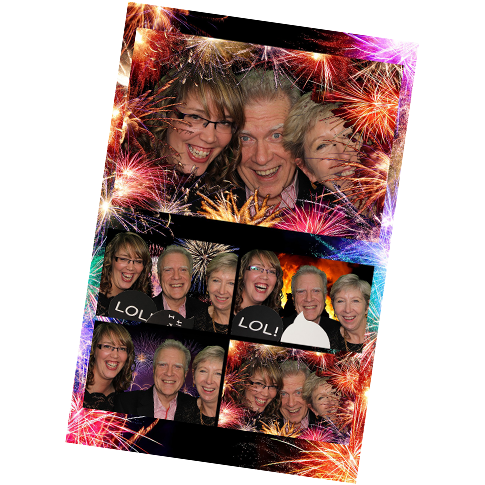 There are a number of ways to personalise the photographs and the photo booth with your logo or an image of your choice. We offer comprehensive public liability insurance and fully trained and experienced, friendly, uniformed staff supported by a 24 hour technical support team to give you peace of mind during your event. Our friendly Booth Butler will do all of the work for you; set up, pack away and even meet and greet your guests, encouraging them to take part and be on hand to help with the photo booth. They'll also encourage guests to sign guest books and leave silly comments! Dress Up with Silly Props! 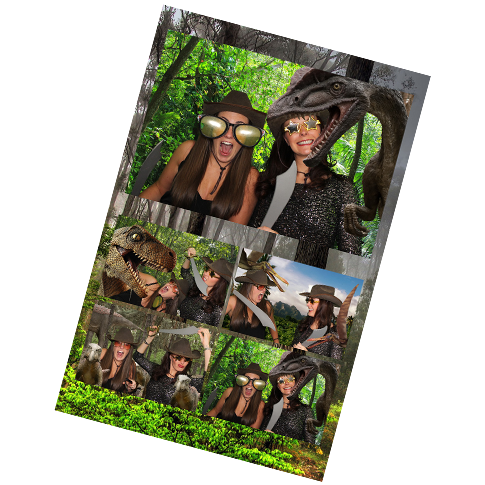 Your guests will love dressing up with our fun props and seeing their photos instantly! Our booths come with wigs, glasses, feather bowers, hand held signs and a hole heap of extras! Our experiences are a great tool to encourage social media interaction and to grow your online presence. 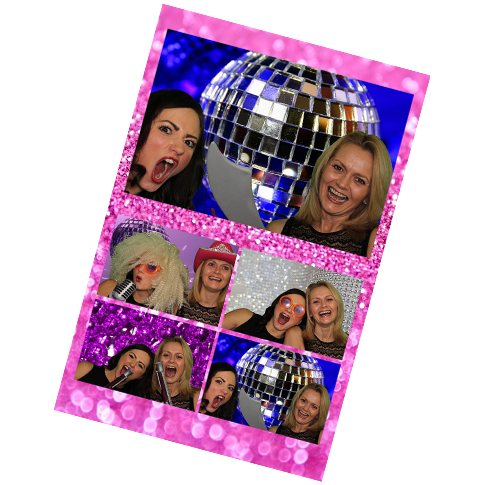 Our photo booths can be used alongside an iPad to capture guest data and encourage them to share on social media site or a website. Just get in touch and we will call you back! We are based in Tamworth, Staffordshire, but operate nationally.